Company management, leadership and acquisitions are provided by 35 year radio veteran Ron Stone. Stone has solid senior level multiple station and multiple market management experience. Stone has extensive experience in startup and turnarounds. Stone’s background includes success in sales, operations and finance. He began his career in accounting after receiving his BSBA from East Carolina University in 1984 in public accounting with McGladrey & Pullen, CPAs. Stone served Beasley Broadcasting, United Communications and Adams Communications as CFO before moving into operations in 1992 with Adams Communications in St. Louis where he was responsible for leading the turnaround efforts for KEZK FM and KFNS AM. After St. Louis, Stone continued to manage startups and turnarounds in Raleigh, Minneapolis, Detroit, and Duluth. Stone has been married to his high school sweetheart, Kim, since 1981. They have three adult children and five grandchildren. They have resided in Minnesota since 1994. Sharon joined Adams Radio Group in October 2014 as a General Accountant. She resides in Lakeville, Minnesota along with her husband, Chad and 3 daughters. Sharon is a graduate of Michigan Technology University and earned a Bachelor’s Degree in Accounting and Finance. Prior to Adams Sharon served in Public Accounting specializing in audit of financial institutions. Sharon also worked as a private consultant for small to mid-size companies as well as owning her own business for 13 years. Sharon is an amazing team player always willing to help where necessary. 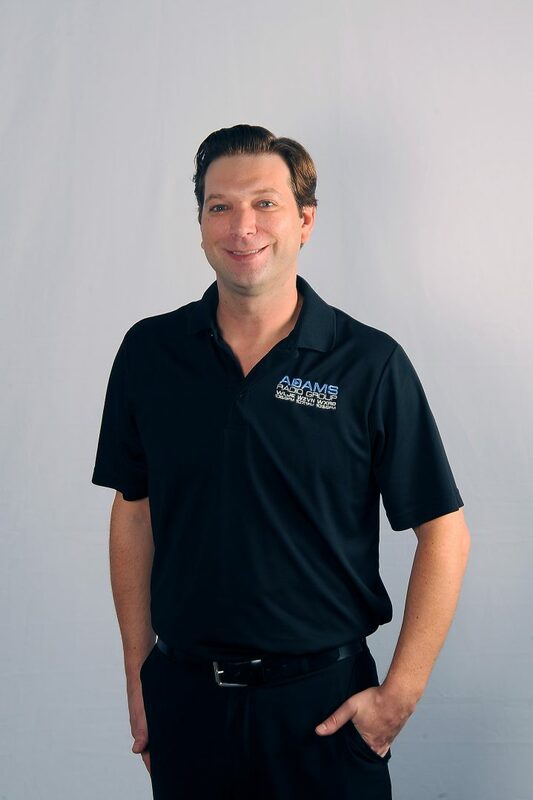 The ownership group of ARG is comprised of individual investors led by Stephen Adams, who is Chairman and majority owner of The Adams Companies, a diversified group of companies encompassing wineries, outdoor advertising, recreational vehicles and related services. Stephen Adams was the former Chairman of Adams Radio Company and Adams Broadcast Group, which successfully owned and operated radio and TV stations across the country, including San Diego, Phoenix, Seattle, Monterey, Grand Rapids, St. Louis, Charlotte, Denver, Wilmington, and San Antonio during the period 1985 through 1996. We are heavily involved in the communities we serve and are dedicated to the growth and success of the communities and clients we serve. Our employees are well seasoned radio professionals that know how to work with local communities and businesses. Adams is not new to radio. Adams Radio began in the early 80’s with radio stations located in several markets across the country, including: San Diego, Phoenix, Seattle, Denver, Monterey, St. Louis, Charlotte, San Antonio, and Grand Rapids. These markets were all sold by 1996. Adams continued in the media business with Adams Outdoor and multiple other publishing companies. The idea of returning to radio was never off the radar! Our success comes through continuing marketing education for our staff and clients. We embrace the core values of local radio. Each of our markets is live, local and focused to super serve the advertising client and the listener. There no asset more important than our people. Without them there can be no product and no revenue and most importantly no customers. We believe our radio professionals are the best in the industry when it comes to super-serving our customers and communities. Because we believe this, we never stop working to build and maintain a great working environment for our team. Our approach is not top down. Corporate rarely has all the answers. We will provide the support needed to the teams that are “on the street” daily building Adams Radio Group. We believe in rewards. We create value propositions for our people and give them a chance to grow. We know our team members and trust them. We choose great people who have the right skills and fit the culture…and then we get out of the way! We earn business from our customers by creating opportunities for them to grow theirs. Nothing less than professional excellence from every team member is expected and we will assist our teams by providing them ongoing training and professional development. Everyone on our team, from the receptionist to your AE to the programming staff will have the skills and knowledge to serve your business. It is the people of Adams Radio Group that separate us from those we compete with. Our people consistently exhibit the following characteristics that are the traits of our culture. Our team will be the most knowledgeable about our business; we will be well qualified to undertake your marketing goals; we will be committed to learning more about your business in order to improve our level of proficiency. The atmosphere at an Adams radio station will be encourage a feeling of admiration and deference towards other people; treating everyone with consideration and thoughtfulness. We encourage our team members to adopt the core values of our company in a constructive manner and help each other live up to our commitments and responsibilities to our customers and our communities. We will consistently do what we say. This value includes the quality of possessing and steadfastly adhering to high moral principles and professional standards. We will demonstrate though our actions that we are performing to the best of our ability for the company, for the customer, for the community and for each other to gain the trust and confidence of all concerned. Every Adams employee is encouraged to take a personal role in giving back to the communities we serve. Each employee provides a minimum of 40 hours in community service annually to the organization of their choice. Are you looking for an exciting career in local radio? At Adams Radio Group, each person makes a big impact. We take the smartest and most passionate team-oriented people we can find and put them in an environment where they can thrive. We value customer service, teamwork, and fun. Check out our latest Career postings here. I am a native of Michigan. I grew up in a rural, farming community about an hour north of Detroit. My love for radio began as a child. My family didn’t have cable growing up so Detroit Tigers radio broadcasts, and music from Detroit and Canadian radio stations consumed my informative years. I got into radio in high school and joined the radio club at my local community college. After graduating, I decided radio was my “calling” so I went to Specs Howard School of Media Arts in Southfield, MI, and got a job with WAAM in Ann Arbor before I even graduated. From there I spent a couple of years with other stations in Michigan, and in Illinois, before coming to Valparaiso, IN, almost seven-years ago.